Along with this tragedy comes the true identity of Savitar, which Patton describes as "quite a shocker." Helbing says that the show is about to really get into what has caused Savitar to be so angry at Barry. 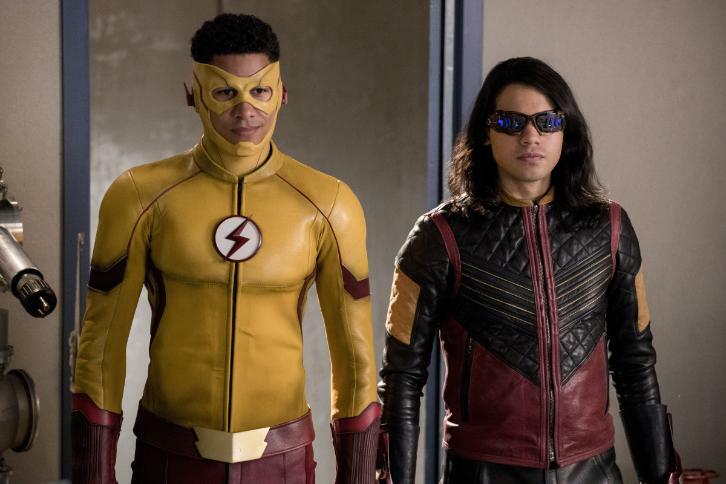 "We'll see Savitar pretty soon, and that's kind of when we pump on the gas and you're going to figure out why he hates Barry so much," he tells us. "I mean, it's really going to hit Barry. He's a bad dude. I think he's the worst villain that we've had, and that Barry's faced, so it's going to be tremendously impactful." "The lesson was love," Criss' charismatic character told the whole crew inside of STAR Labs. "Love is about letting yourself be saved. It's not just about saving other people, even if you are superheroes." The reveal marks a big change from all the super-crossovers in the past, which have tended to feature some sort of formidable villain putting everyone's lives (or the fate of the world) at stake. "At the end of the day, the best thing about the musical is that it doesn't exist outside the main narrative of what's going on, on both Supergirl and The Flash," The Flash and Supergirl EP Andrew Kreisberg tells The Hollywood Reporter. "Barry and Kara really needed to go on this journey because they both start this episode broken-hearted. This is an episode where they get their love back." To hear Kreisberg tell it, the decision to make the Music Meister a hero instead of a villain just fit into the story. "At the end, that the cause of it would be somebody evil didn't feel right the more we worked on the plot of the episode," he says. "The idea that this person put them through their paces so they could get their love back on track ultimately seemed like a benevolent thing. We just thought that was so interesting. I mean, literally every show, every villain is evil. That somebody was doing something just to do some good struck us as very much the kind of thing a musical would do."